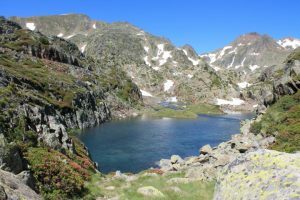 If you’re time-challenged and really want to get the most of your precious holiday time, this 4 day guided mountain walking holiday in France is just the ticket. 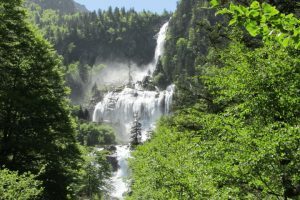 It’s a wild and spectacularly beautiful walking holiday which takes in both the Ariege and the Catalan sides of the Pyrenees mountains. This mountain walking holiday is also available as a women only walking holiday on request. This is a historic route as it follows some of the paths that were used by those fleeing the Nazi regime in WW2. 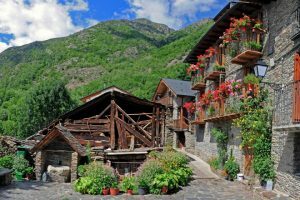 Less frequented than the classic waymarked Chemin de la Liberté that leaves from Saint Girons, this walking route has an authenticity which is maybe missing from the classic route. As you make your way up into the high mountains from the Ustou valley you’ll start to appreciate just what a journey the escapees undertook. Ill-equipped women, children and the elderly fled France, often at night, often in the winter, to seek freedom in Spain. It was a journey fraught with danger and you can’t help but have them in your thoughts as you follow in their footsteps. 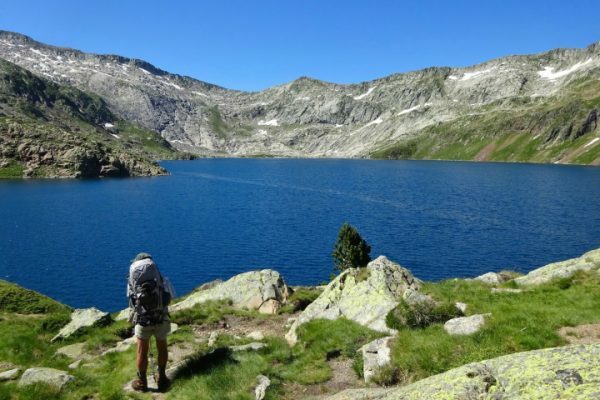 Make sure you make the time to stop and contemplate on this mountain walking holiday, to absorb the beauty of the Ariege Pyrenees natural park on the French side and then the Alt Pirineu Catalan Pyrenees across the border in Spain. The beauty of the high mountain landscapes are breathtaking with mountain lakes, plunging waterfalls and vague footpaths bordered by colourful wild rhododendron . Is this mountain walking holiday for me? 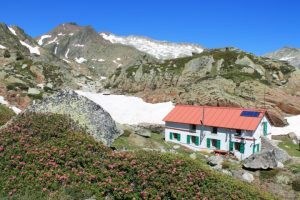 If you’re a fit, adventurous hillwalker you’ll be in your element on this mountain walking holiday in France, especially if you enjoy walking on the wild side. 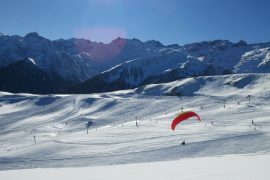 You’ll learn all about the history and culture and enjoy local gastronomic specialities as you explore these two distinct mountainous areas. 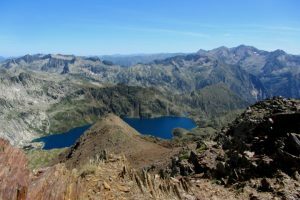 There is plenty of ascent on this walking holiday and you may be on your feet for up to 8 hours a day (see itinerary tab), walking at a steady pace. 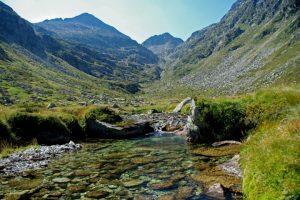 You’ll get maximum enjoyment out of your days in the mountains if you are already used to this kind of walking. 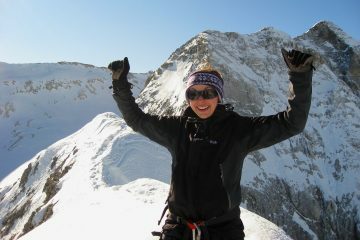 Walking poles are very useful on this terrain to take the strain off your knees! Your accommodation will be dormitories in hostel type accommodation, a mountain refuge and on a campsite. A kit list will be provided when you book. 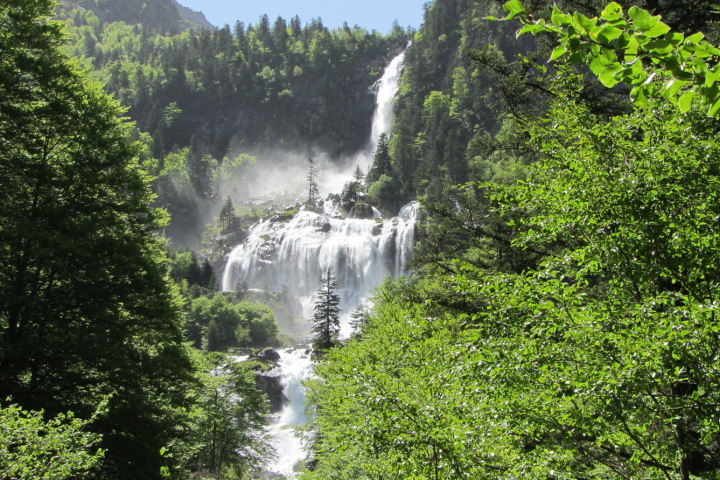 Your adventure begins with a transfer from Toulouse airport to your overnight accomodation at the hostel Gite l’Escolan in the wild Ustou valley area of the Ariege Pyrenees. 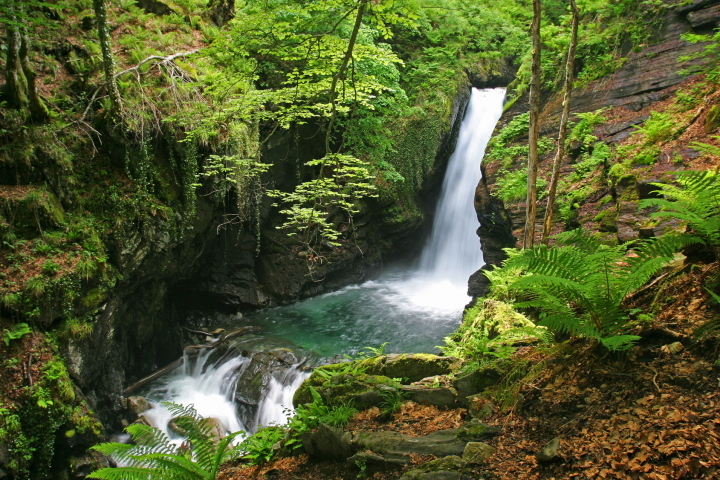 Here, your guide for your walking holiday will go through your route for the coming few days. 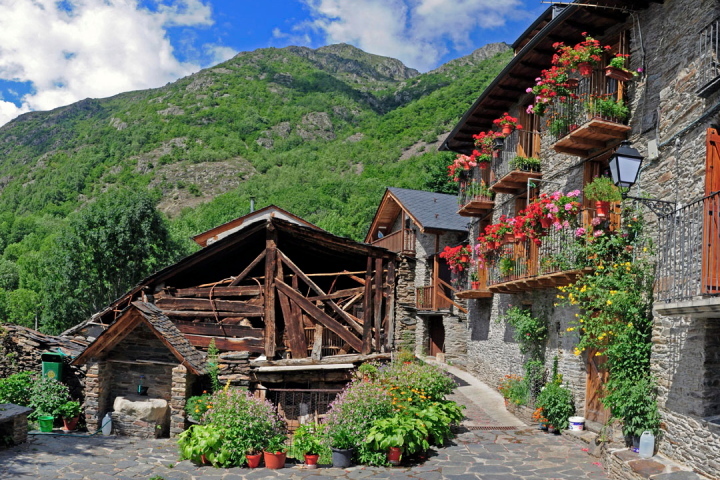 This will be your second day on the Spanish side of the Pyrenees. 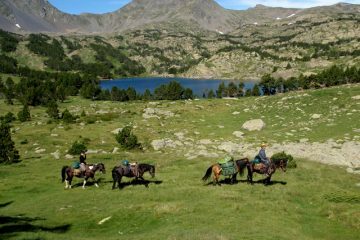 The route takes you initially through impressive pine forests before you reach the high mountain pastures. 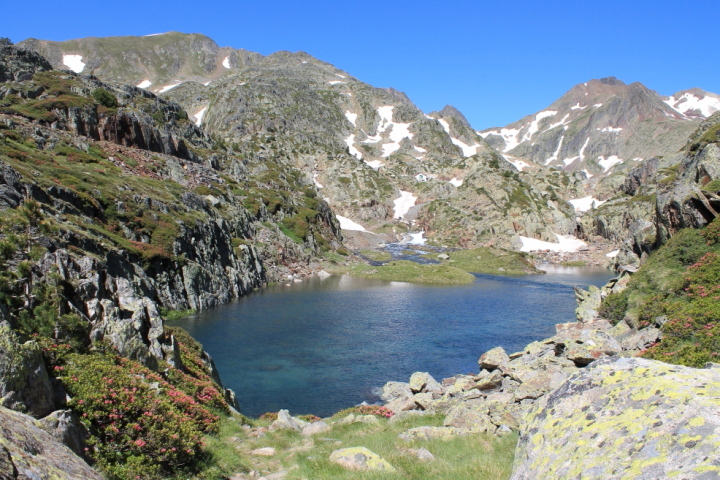 Marvel at the magnificent lac Blaus which you’ll pass en route to the Col de Certascan at 2586m alt. 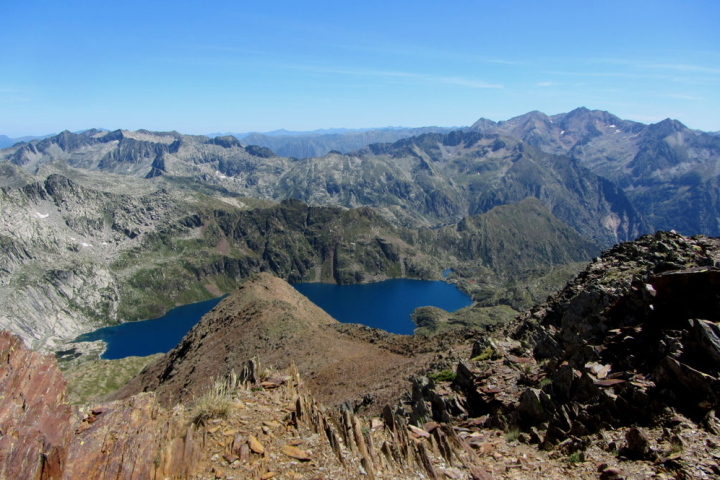 If you’re feeling fit and strong you may choose to ascend pic de Certascan (2853 m) with its breathtaking views over the lac de Certascan, the largest natural lake in the Pyrenees. Transfer back to Toulouse for your flight home.